For up and coming bands or new artists, there are tons of benefits that come from using social media and other outlets. Many of these networks, allow them to connect with their fans and followers. In the same way, there are also many advantages to using “Mp3 for e-mail” correctly. 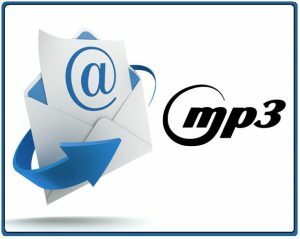 MP3 for e-mail is simply sending out content to people in order for them to give you their email in exchange for your song or file. Truth is that for years, countless of internet marketers have been giving away something to people in order to get them to subscribe to their list. Being able to send your fans, or those on your e-mail list, access to your online content is something that lots of new artists are doing. It is one of the many things which you can use to grow your fan base. You can also give away free concert tickets, access to unreleased video footage, live video streams or MP3’s. All of these are just some of the things you can do to gain new followers, and keep the ones you have already. While giving away access to your content online to people is great, there is more to be done after you send out those e-mails. Sending your subscribers a thank you e-mail should be done right after they sign up with you. Still, thank you e-mails are very different than daily or weekly newsletters. One of the biggest mistakes people often make when getting new subscribers, is scaring them away. They do this by sending out too much information too early. Some bombard them with constant e-mails and end up losing them. Avoid doing this and instead, wait a few hours at least, before sending anything else to them. Keeping track of your e-mails, or any other ways you may contact your subscribers or followers, is important. Sending a person the same things more than once, can easily lead them to block or delete you for spam. Depending on the amount of subscribers you may have, there are several email marketing software available out there for you to use. This way, you can easily see what you sent out and even have what they call ‘autoresponders.’ These are emails which are automatically sent out once someone signs up to your list or responds to your emails. We have already established that using MP3 for e-mail as a way to gain followers or new fans, is very beneficial. However, when sending out multiple emails to many people via an email service provider, this option is not allowed. Other e-mail services such as Yahoo, Outlook or Gmail, are also on the lookout for spam. Since they are very serious about virus threats, any e-mails with attachments, may be automatically picked up by their spam filters. There is also the issue of the attaching files that may be too big. Most only allow no more than 1MB. So how can you get around this problem? There are several ways. An easy way to overcome the problems of size restriction, spam filters and other issues, is by using other services or sites. If you use a site such as Dropbox, you can simply upload your song, video or anything else, to there. Once you are done, simply send those you want to reach, a link to the file. If you don’t have Dropbox, you can also use Google Drive to do the same. In addition, you can make sure that the persons whom you send the links to cannot download them without signing up to your list first as well. And you can save lots of bandwidth since you won’t have to upload them to your own site or hosting. You can also use services such as Bandzoogle or Bandcamp. Both of these services have the option which lets you select a song to give away to those that subscribe to your list. Lastly, you can use a service provider which will host your MP3 or other file for you. They in turn, will then make it available for your fans or followers. Using MP3 songs for an e-mail is a great way to get exposure and gain followers. If done correctly, your next song, may just end up becoming viral and turning into a huge hit!